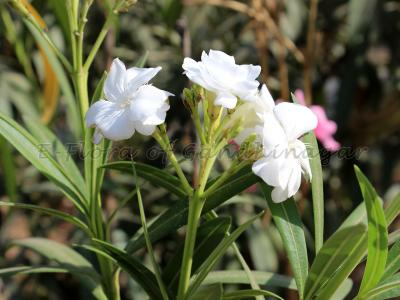 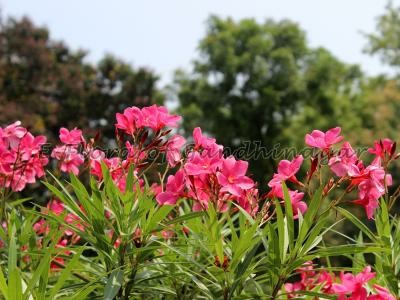 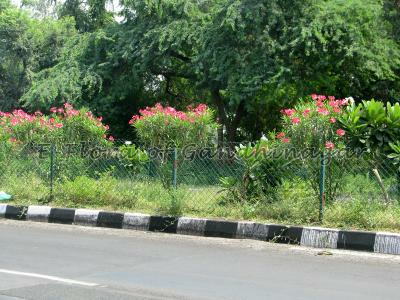 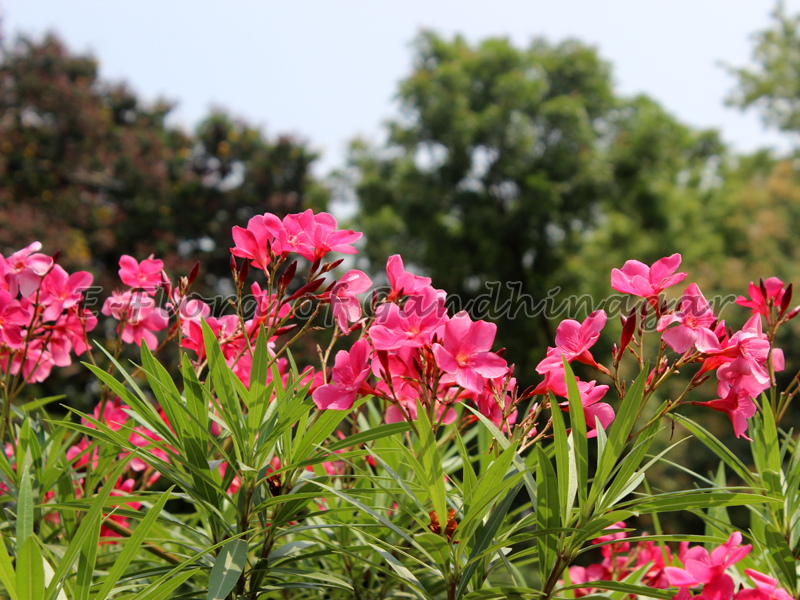 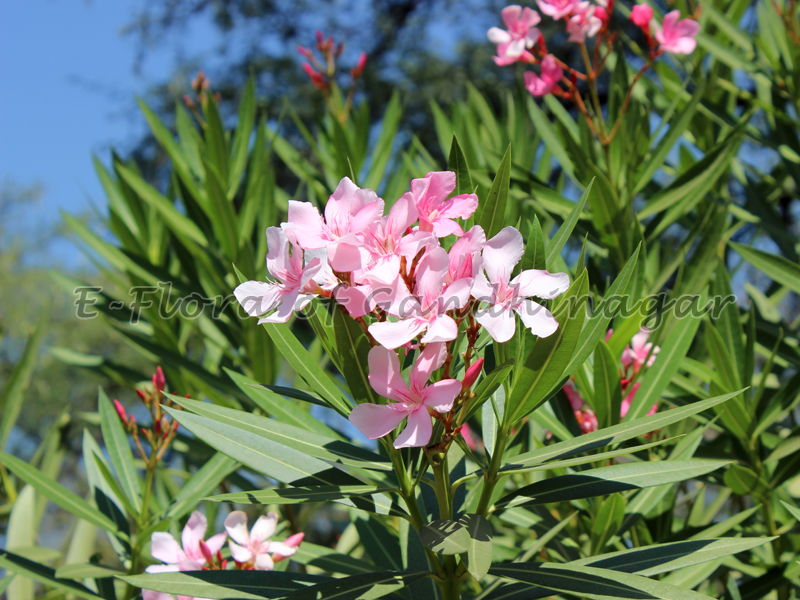 Botanical Name : Nerium oleander L.
Habit : A small shrub with milky juice present. Leaves : Verticillate in 3 or 2 opposite, linear- lanceolate, narrow at both ends. 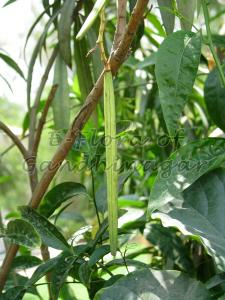 Inflorescence : Terminal panicles of cymes. 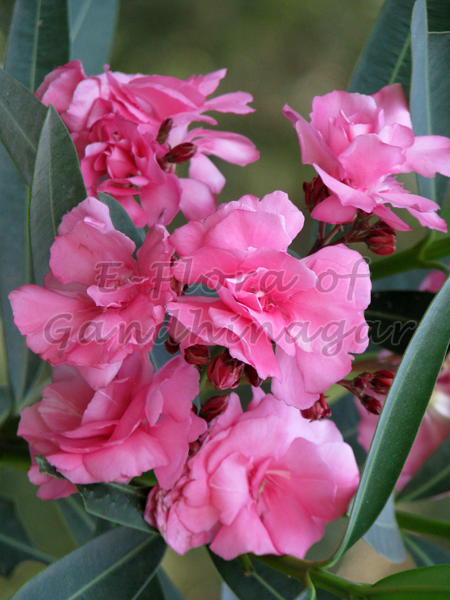 Pink, red or white, single or double, fragrant, bracteate. 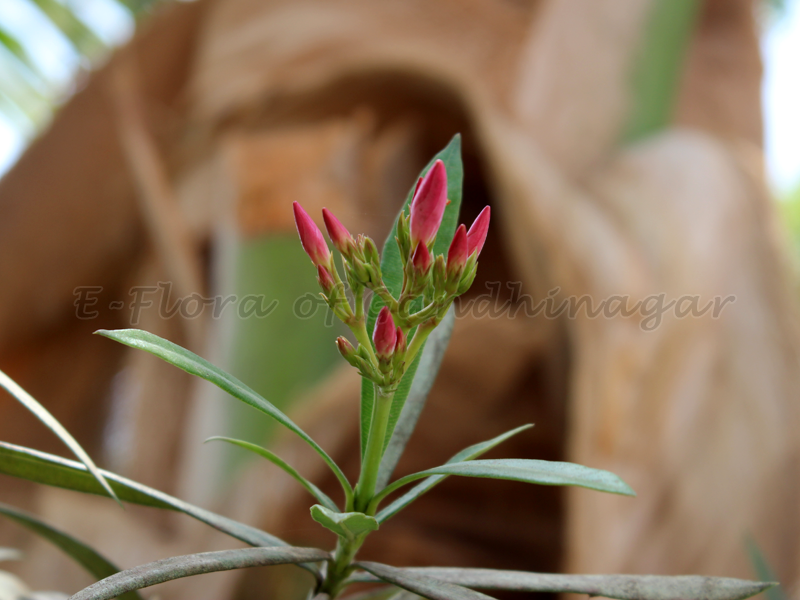 Bracts small, calyx divided to the base, lobes 5, linear, acute. Corolla campanulate, petals 5, rounded, overlapping, corona of 5 scales present in the throat of the corolla, each scale divides into 2-7 free segments. 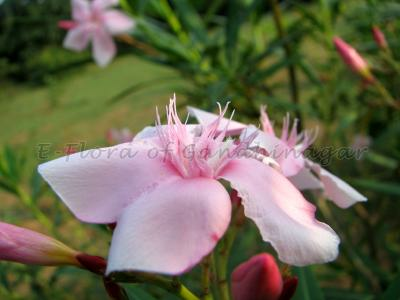 Stamens 5, included filaments short, anthers connivent into a cone and adherent to the stigma, connective produced into a feathery appendage. Carpels 2, distinct, style long, stigma dumb-bell shaped. 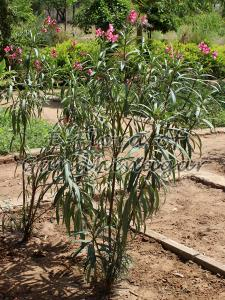 Fruit : A pair of follicles, seeds many, comose. 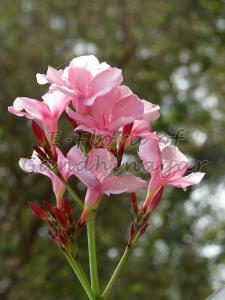 Commonly grown in the gardens everywhere. 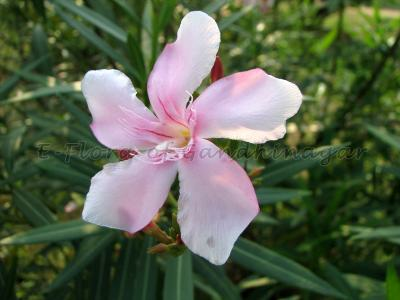 The whole plant is extremely poisonous.